Buncom, Oregon (also spelled Bunkum or Buncombe), is an abandoned mining town near Jacksonville, Oregon. 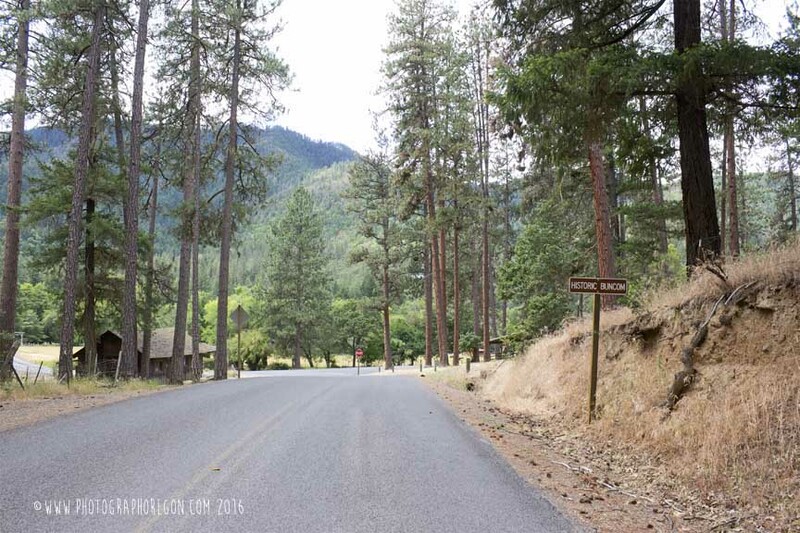 It is located near the confluence of the Little Applegate River and Sterling Creek. We stumbled upon it on the way to a winery. 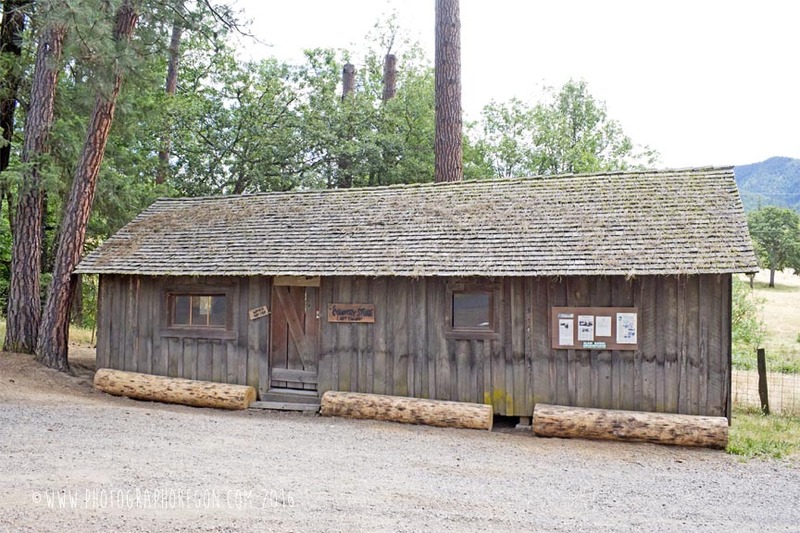 I just saw a few little buildings on the side of the road, but with one of them being a post office, I suspected we had run across a ghost town that I didn't have on the list! There are three buildings at here. They are all that is left of the original gold camp settled by Chinese miners in 1851 after gold was found in Sterling Creek and Jacksonville. Gold was not the only valuable asset found there. Minerals such as cinnabar, chromite, and silver were also mined. There was a general store built, and in 1861 J. T. Williams opened the saloon. In 1867 the Buncom Mining District was formed. The post office was established in 1896. Sadly, by around 1918, the gold became scarce and the town wound down. The post office closed, and the town was abandoned. Most of the buildings would be later burned. In 1854 when gold was first discovered on Sterling Creek, as was usual in the day, thousands of miners rolled in from the gold fields of California and other hot locations in the west. In the beginning they mined with pans and shovels. After the placer diggings ran out, they resorted to mining the gold hydraulically by building huge ditches and forcing powerful streams of water through hoses. Soon the smaller mining claims were consolidated handled by large companies. Eventually the town found a new second life. 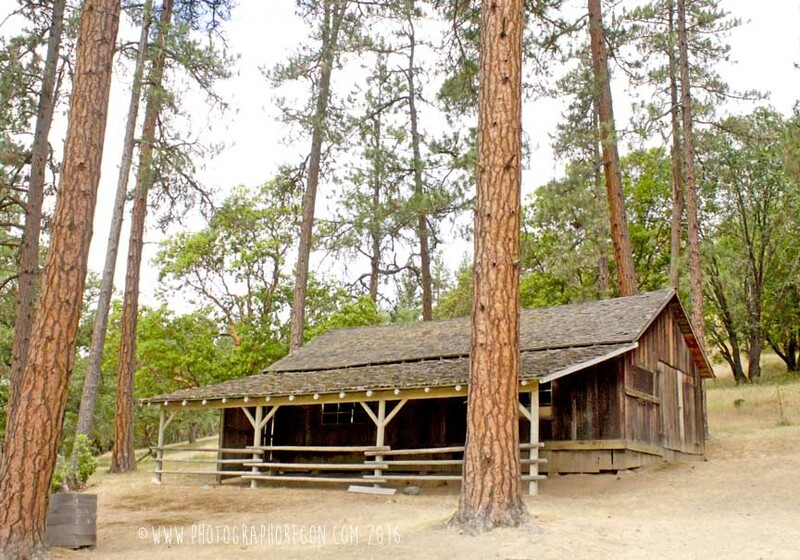 It was only a day’s wagon ride from Jacksonville so the little place became the supply and distribution center for the farmers and ranchers in the Little Applegate Valley. The stagecoach route ran through it, so in 1895 the federal government put in a a post office. The end of Buncom came with the popularity of automobiles. Jacksonville and Medford were just a short drive away by car. The post office closed in 1916. The small general store continued to operate for a bit. Eventually the buildings were abandoned and fell on to hard times. At present there are only the three buildings left. The post office (built in 1910), the cookhouse, and the bunkhouse. 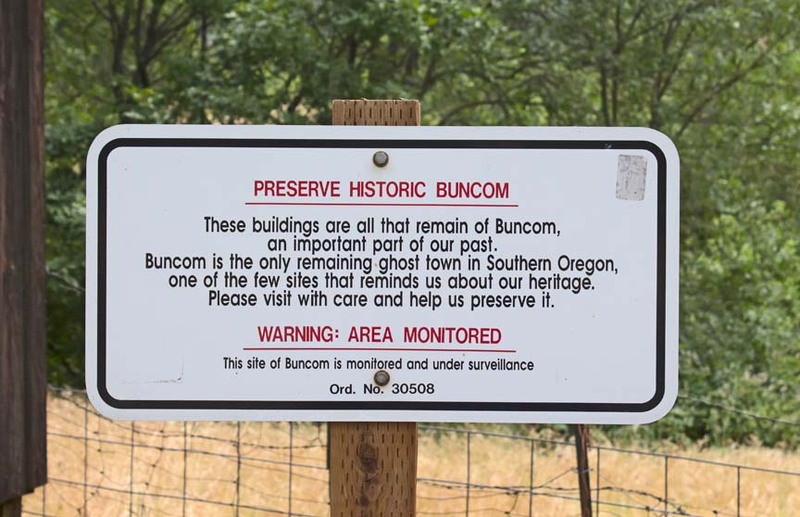 The Buncom Historical Society was founded in 1991. They replaced all three of the roofs of the buildings that remained. The society has also restored the porch of the post office and the eaves of the cookhouse. 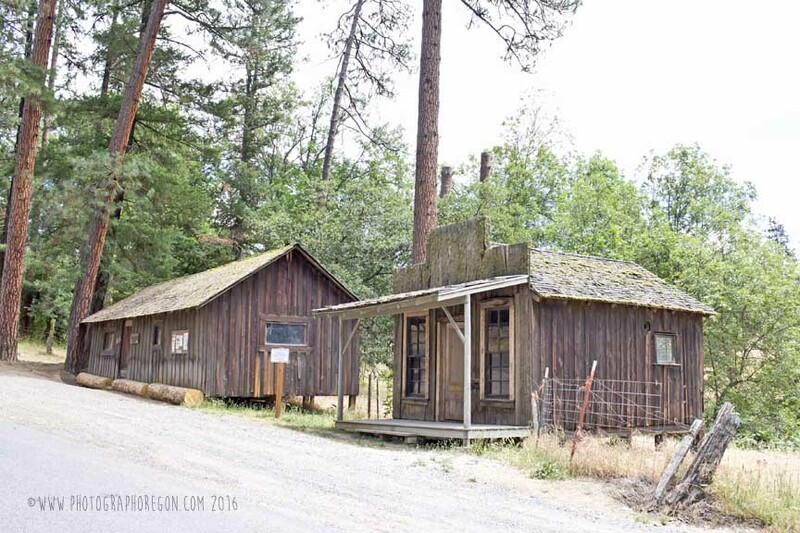 This historical society believes that this was the First Ghost Town on the Internet. Their website first appeared in 1995. They did considerable searching at the time and couldn’t find any other ghost town. Sterling Creek Rd and Little Applegate Rd junction. 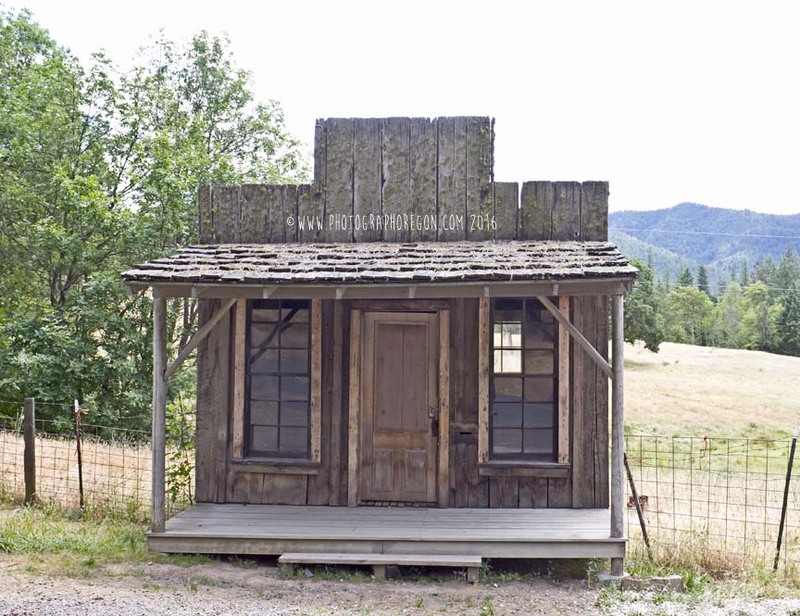 The PNWPhotoBlog is a nice resource for more info on ghost towns and other places.